to look for girls that will work part-time jobs as AKB! Let’s see if we could find any…! At 26:10 ~ Fuji TV! 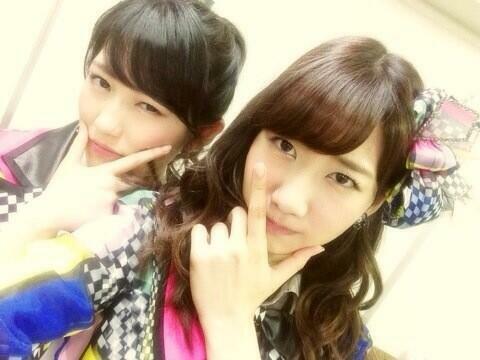 And has been a scout and fun YukiRin! ! I look everyone! ! Good night! ! From 26:10, on Fuji TV! I went scouting excitedly with Yukitin!! Everyone, please watch!! Good night!! The first half of the 2nd episode they collected a girl in a clothes shop, but it was the 2nd half which was amazingly epic. They went to some class, Yuki was in another room as Mayu's assistant over the wire, and Mayu infiltrated the class in sunglasses acting all gangsta and sneakily spoke to a girl there and stole her. All the while pulling stupid poses. I took this from the flashback in EP3, but probably should have made it from the raw on EP2, nevermind. 3rd episode began where the 2nd ended, Mayu went back for another girl in class but got found out. 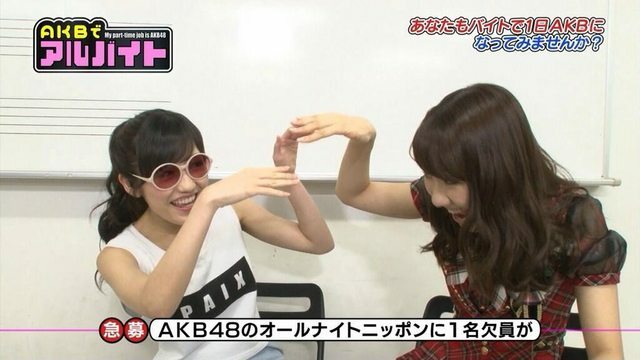 Yukirin pissed herself laughing at this. I'm gonna watch them again this time with subs! Page created in 0.456 seconds with 15 queries.